If you thought the vinyl record's comeback story was more buzz than business, consider the latest developments from across the pond. The U.K.-based Entertainment Retailers Association, or ERA, said Monday that Britons spent 2.4 million pounds on the old-school wax last week while only doling out 2.1 million pounds for digital downloads. Vinyl Factory, a website dedicated to records, reported that those numbers represent a big change from the same week in 2015, when just 1.2 million pounds was spent on records compared with 4.4 million on digital downloads. That's a 100 percent year-over-year increase in vinyl sales and also the first time that vinyl album sales have bested digital downloads over a weeklong period in years, per Vinyl Factory. 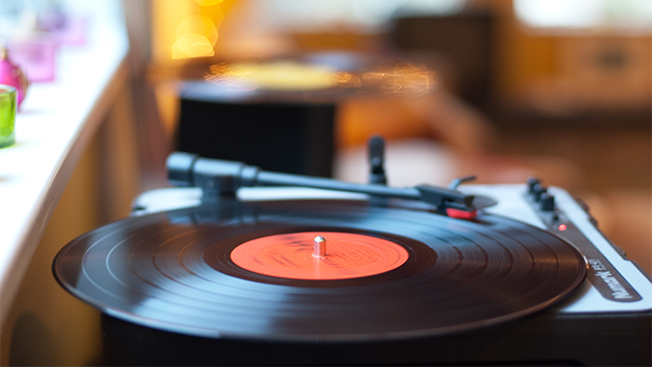 Thanks to vinyl-minded events like Record Store Day, albums have been on the uptick in recent years around the globe. Vinyl sales have steadily grown over the past decade in the U.S., with 12 million units moved in 2015, according to Nielsen data. With Spotify, Pandora and other digital music streamers paying relatively small royalties to artists, that's good news for musicians.